For some time now, Samsung has been a front runner in the race for smartphone supremacy, pushing the boundaries of what tablets and phones are capable of. Samsung has been playing with displays of different shapes and sizes recently, including flexible and curved options. The Galaxy Note Edge with it’s asymmetrical, curved design, delivers style, power, and astounding features that help the device to really live up to its name. The Galaxy Note Edge is definitely something different from anything you might have used in the past, but just like any other device available today, it’s not without its flaws. Today, we’ll be exploring some of the most commonly encountered issues that users have been experiencing with the Samsung Galaxy Note Edge, and offering tips on how you might fix them. Disclaimer: Not every user of the Samsung Galaxy Note Edge will face these issues, and it is quite likely that you won’t come across any of the problems listed below. A number of users have commented that their data connection is very spotty, and only provides them with the data they need about 20% of the time. Find out whether a particular application is responsible by force-stopping certain apps or factory resetting, then selectively re-installing applications. Wait for an update to the device’s firmware – many people speculate that this will be the solution to the issue. Do not rely on stock signal bars to check your connectivity. Install SignalCheck Pro or the free version, SignalCheck Lte to discover the true strength of your connection. A number of agitated users of the Galaxy Note Edge have commented that they struggle with a lot of lag-related issues. Whether it’s simply using the regular applications of the phone, or browsing the internet, the phone seems to struggle with high amounts of activity. Sometimes, bad performance can be caused by third-party applications that are not running correctly. Check which apps are using up the most processor function on the phone and uninstall the ones you don’t need. Alternatively, perform a factory reset (see instructions below), and reinstall applications selectively. Update the applications that are most regularly used. Disable Flipbook, Lookout, and S Voice. If the problems happen consistently when using the internet, try downloading a different launcher or browser. Unlock development options by going to Settings – About and tapping “Build”. Make sure GPU rendering is unchecked, and lower all animation settings to either 1, or .5. Some users have reported that their camera starts to act up on the Galaxy Note Edge after a couple of days of use. Sometimes the application works, and other times it quickly freezes, or crashes, asking users to restart the camera app. Try using a different camera application such as Google Camera to see whether the issue is hardware related. On the other hand, if Google Camera is already installed and the issue is taking place, uninstall the app and see if the default camera works better. Adjust the settings on your camera application to see whether a lower resolution helps. Attempt to boot into Recovery Mode then wipe the Cache Partition. Perform a factory reset may do the trick, but keep this as a last resort. 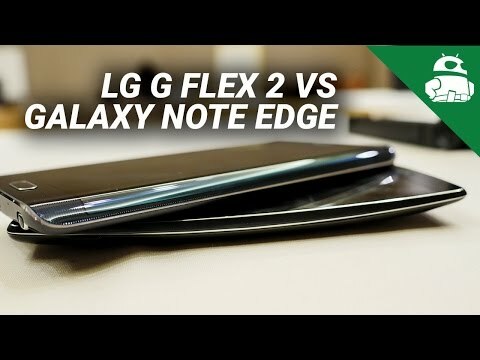 Samsung has actually commented that it does expect the battery life in the Galaxy Note Edge to be a lot smaller than it is in the Note 4, based on the second screen for the Edge, and the mAh capacity, however, there are ways to extend battery life. Use one of the Galaxy Note Edge power saving modes. Regular “Power Saving Mode” restricts background data and performance, whereas “Ultra Power Saving Mode” shuts down everything the phone doesn’t need to make a call. Set the screen brightness as low as possible. Remove some of the widgets or apps that are on the home screen. Ensure as few services and processes are running as possible. Turn off Wi-Fi and GPS whenever possible, but stick to using Wi-Fi instead of mobile data when you can. Most smartphones today suffer when it comes to connecting to Wi-Fi hotspots and staying connected. 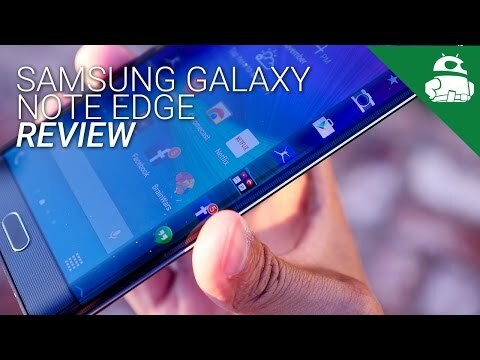 Users have commented that the Galaxy Note Edge is no different in regards to maintaining signals. Turn off the router that you’re using and the Galaxy Note Edge and wait for a while before turning them back on. Check the level of activity on your current channel with the Wi-Fi Analyzer If necessary, simply switch to a different channel. Some users have reported that when they try to edit or change the applications on their favorites panel, they get an error message saying the panel has stopped working. Reduce the number of applications on the phone, or try deleting certain apps in Safe Mode. Check to see whether any processes are running in the background and eating up the speed of the phone’s processor. Clear the cache partition (instructions below). Those were some of the most regularly encountered problems with the Galaxy Note Edge. If you’ve been struggling with one of these issues yourself, or have experienced an issue that we haven’t mentioned here, please leave a message in the comments below. We’ll be working to keep this list updated as new problems and solutions make themselves known. Following are the guides for how to wipe the cache partition, enter safe mode to remove an application, and hard reset on the Galaxy Note Edge. Move to the “Downloaded” screen and select the app you want to remove, then tap “Uninstall”.